Most people are used to seeing dolphins perform wonderful leaps in and out of the water. They seem to be pretending that they are a roller coaster. Penguins are capable of doing the same thing, but they do not leap up as high or dive as deep. This kind of movement is called porpoising. Did you know that a colony of penguins may be the size of a small town? Every sort of individual is found in one of these colonies, the good guys along with the bad guys. Penguins greet one another and argue. They steal from one another, and they fall in love. Sometimes one or two penguins will steal a chick from its rightful parents. If the two are lucky, they will successfully manage to raise the chick. However, sometimes they are careless, and the chick dies. At one time, penguins were killed for their oil. 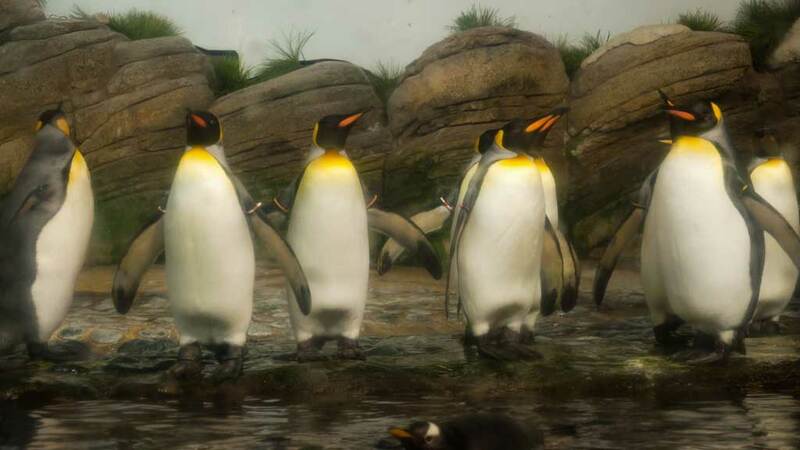 Now penguins are protected, tuxedos and all, by law. What Do Penguins Eat and How Big do Penguins Get? When Did Penguins Become Flightless Birds And Why Did Penguins Evolve To Swim? How Do Penguins Prevent Their Feet From Freezing In the Winter and How Do Penguins Stay Warm In the Cold?